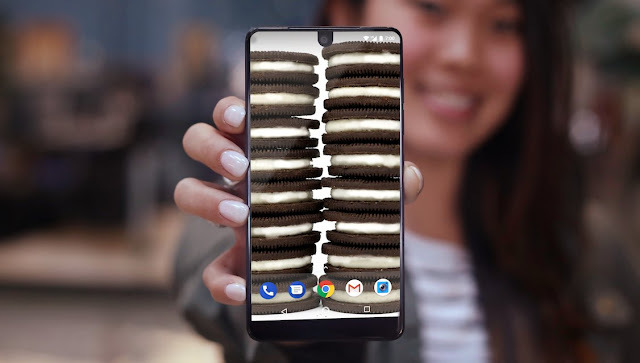 Essential Phone Starts Getting Oreo 8.1 - AndroGuider | One Stop For The Techy You! Oreo 8.1 was released by Google in December of last year. Outside of the Pixel and Nexus devices - which get software updates from Google - only the Nokia 8 has been updated to Android 8.1. Essential has been testing out Oreo on the PH-1 for a while, and OnePlus recently joined the party with Android 8.1 beta builds for OnePlus 5 and 5T. A few hours back Essential announced that it has started rolling out Oreo 8.1 for the PH-1. Aside from the aforementioned list of "new features," Android 8.1 consists of enhancements to the user interface, fixes for emoji, and support for neural network APIs. Coming over to "Essential Products features," everything except "dynamic calendar and clock icons" is self explanatory. In Oreo 8.1, the icons of the calendar and clock applications will change to reflect the current date and time respectively. The seconds hand in the clock icon will rotate to display the number of seconds passed in the minute. Unlike many manufacturers, Essential is providing support for Project Treble in the Oreo update. The build number for the one gigabyte update is OPM1.180104.092, and the update is currently rolling out over-the-air, which means that you will have to wait for the update notification to reach you. You can check for the update manually by heading over to Settings > About phone > System updates.